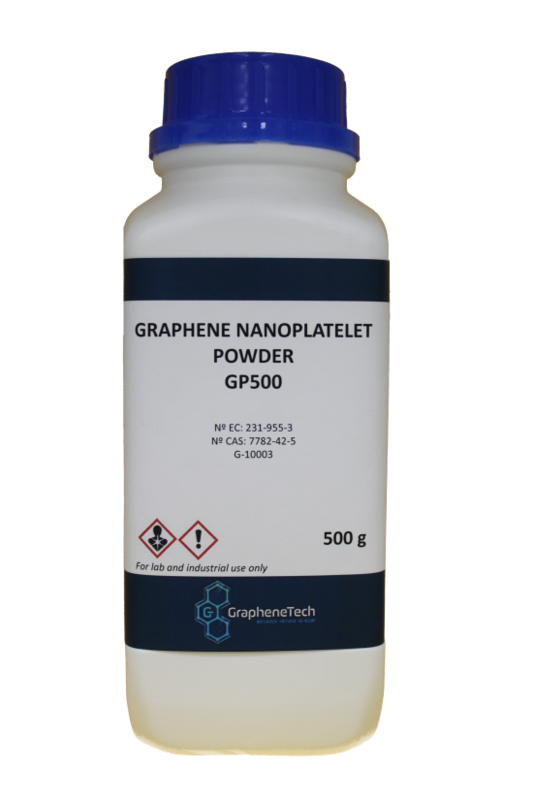 GrapheneTech´s GP500 Graphene Nanoplatelets product consists of high quality powder based on few layers (4-7 nanosheets) graphene nanoplatelets. GP500 has been manufactured using a patented “top-down” dry mechanical exfoliation method. This product presents a specific surface area around 450 m 2 g -1 , lateral size between 40-200 nm and a carbon content above 97%. GP500 Graphene Nanoplatelets can be used in a wide range of applications such as composites, resins, lubricant oils, anticorrosive paintings or conductive inks.